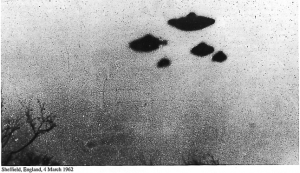 The CIA has been forced to release what it knows about UFOs. It has complied—but perhaps not completely. Thousands of classified documents about UFOs and UFO investigation were released by the spy agency because of a FOIA (Freedom of Information Act) order; the documents, dating from the 1940s through the 1960s, shed light on the internal activity of an agency that once routinely denied that UFOs and extraterrestrial life existed at all. The documents make it clear that the CIA wasn’t telling the truth. 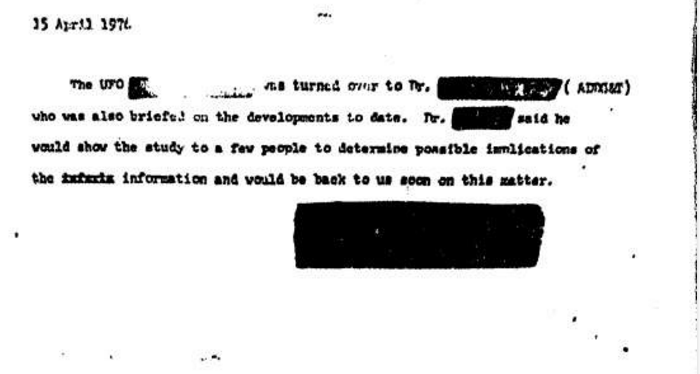 Spanning parts of three decades, the documents report on CIA activity regarding the UFO phenomenon that occurred long after the agency began saying publicly that it had “lost interest” in the subject. That is agency talk for “uh, this isn’t swamp gas or Venus, and if it’s a craft, well, we don’t have technology like that here on Earth”. In other words: the flying saucers are real. The documents released by the CIA include photographs taken around the world, apparently without explanation. 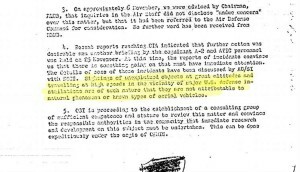 Meanwhile, in a carefully worded 1952 memo by Deputy Assistant Director Edward Tauss, there is the admission that while a large number of UFO sightings are either “phoney” or explainable as misidentified aircraft, a percentage of cases “remain unexplainable”. Tauss suggests that this merely means that the CIA hadn’t gathered enough information about the cases, and if it had, they would have been something simple, like an Air Force jet or some swamp gas. Strangely, however, the cases remain unexplained. There is no reasonable way to see this statement as anything but a smoking gun: if UFOs are not real—if they are just swamp gas or misidentification of the planet Venus—then there would be no need for documents, and no need to redact parts of them. The redacted document is dated 1974, which is long after the CIA says it stopped paying attention to the UFO phenomenon, and even after the Air Force’s Project Blue Book ceased operation. Yet it’s clear that the CIA was concerned, and was actively working on figuring out what to do about them. Is This Supposed to be ‘Disclosure’? 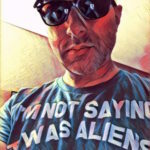 While the UFO community has long been calling for full disclosure of government UFO intelligence (along with some high-profile government employees), the release of these UFO documents by the CIA is not what most were imagining. There is little mention of famous UFO crashes, which the agency obviously knew about, nor is there any non-redacted mention of alien life. Disclosure? Sort of. Real disclosure? Still in the future, sadly.